ZAPANTERAS NEGRAS: Zapatista Black Panther Art in S.F. In 2012, Emory Douglas, former Minister of Culture for the Black Panther Party, went to Chiapas to work with Zapatista artists to make art, share visions, bringing together the revolutionary art traditions of two communities. 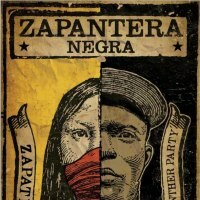 On April 10, artists Emory Douglas and Rigo 23 will present art and photography from the Zapantera Negra art project and share their experiences with the Panthers and the Zapatistas. whose hearts and movements lead a struggle for a boundless liberation.